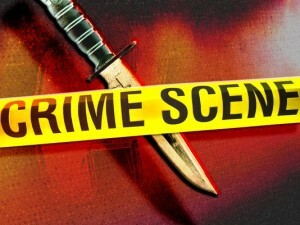 Shortly before 6 a.m., officers responding to reports of an assault found a 19-year-old San Luis Obispo man suffering from multiple stab wounds to his chest, arms and neck. Officers then discovered a 19-year-old female who had also suffered stab wounds during the assault of the male victim. At a home on the 400 block of Atascadero Avenue, officers found the female victim’s 1-year-old infant and the alleged assailant, 19-year-old Jesus Romansoroa. Officers arrested Romansoroa and booked him into the San Luis Obispo County Jail on charges of attempted murder, assault with a deadly weapon, corporal injury on a domestic partner, child endangerment and mayhem. His bail is set at $500,000.